Fig. 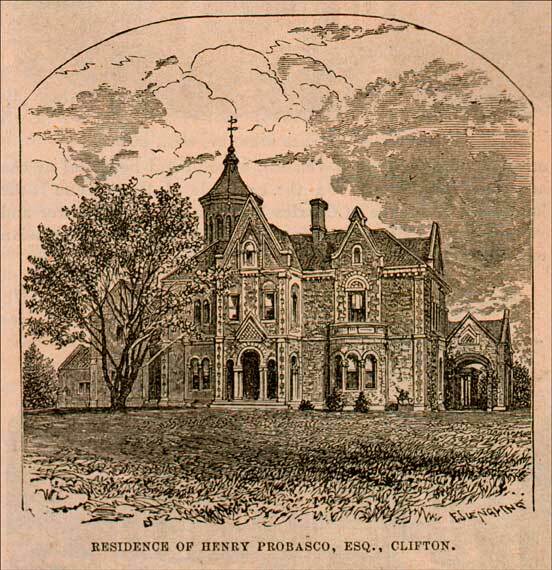 7.3 Residence of Henry Probasco, Esq., Clifton. E. Juengling. Engraving. 1875. Image: 2.95 x 2.95 in (7.5 x 7.5 cm). Sheet: 11.1 x 7.72 in (28.2 x 19.6 cm). Daniel J. Kenny, Cincinnati Illustrated: A Pictorial Guide to Cincinnati and the Suburbs... (Cincinnati: Robert Clarke & Co., 1875, p. 34. Rare Books and Special Collections Department.